Digital marketing reduces the risk and clutters over traditional marketing methods when done rightly. As the healthcare industry is valued at $81.3 billion as per 2013 data, is projected to the growth of 17 percent by 2020 by considering the growth factor there will be significant competition is expected. To gain the competitive advantage healthcare businesses need to brand themselves on a digital platform to make a strong positioning in the market besides acquiring patients through online lead generation strategies. Which makes your health-care business to flourish. The healthcare industry is slowly becoming brand-specific and more personalized towards each individual. Traditional promotional methods like newspaper ads and hoardings are nowhere close to the effectiveness of Digital marketing. Healthcare businesses are now focused to revamp on their branding strategies by keeping digital into priority. Healthcare Industry in India 2018. In this, today’s digital world healthcare consumers are smart enough to decide the best hospital, clinic or diagnostic center on the online presence and there are lot more parameters which makes your health-care business to stand-out among the rest. As the digitization is increasing more and more users have been added to the internet on a day to day basis, this made an increase in searches related to healthcare for selecting as a treatment option. The given below are the google vertical trends data. 95% Search growth overall in Q417 compared to the previous year 78% of searches came from Mobile. Which clearly states the importance of digital marketing is going to impact the health-care marketing. Search engine optimization for healthcare that targets high-quality patients on search engine results page for more visible. 77% of search engine results appear to book an appointment With the growing popularity of health care in search engines, the best part is can be done without spending massive amounts with traditional platforms. As the internet is handier these days, there is a huge surge in searches and content consumption related to hospitals and health-care industry. 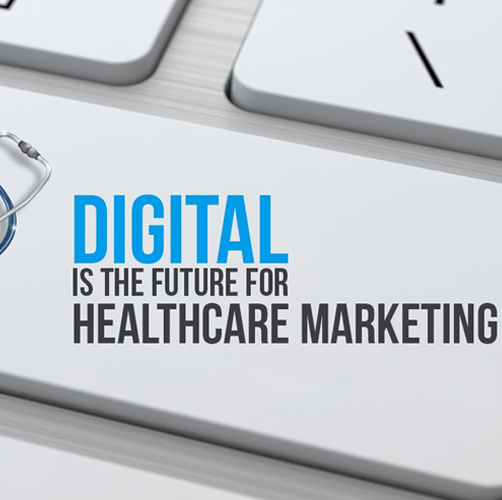 Many of them already turned to Google search Ads, mobile ads and display advertising & social media for cost-effective digital marketing that reaches the targeted audience who are looking for online for health-care information. social media for health purposes has risen from 18 percent to 21 percent in the past two years. As the healthcare businesses want to attract patients you need to available on all the important digital platforms channels which helps your targeted audience to take a well-informed decision. Today’s patients are also capable to do extensive online research, which means they are more particular about the services they are looking for. Content marketing plays a major role in the industry keeping your content unique and relevant has a very large audience in Healthcare sectors. It is a natural fit for many health providers can be the first line of defense against ailments, and healthcare content marketing can be the first comfort to patients for results you’re going to get out of them. Video marketing is extremely effective for healthcare organizations for communications and engagement purpose. Represent with a low cost, easy to use and highly effective communications to the target audience for a healthcare organization. Which can be more engaging and emotionally compelling in telling your story, topics, and resources which results in higher conversion rates. Digital Marketing Partner strategize & executes the campaigns with a fine detail and tracks the performance to improve revenue per spend by optimizing the digital marketing campaigns. To improve the total marketing efforts and increases ROI and adds tremendous value in acquiring patient. The healthcare strategies of organizations used to transform passive patients into active ones changes have become for the healthcare industry these days, the healthcare industry has started a significant role in marketing strategy 77% of patients use search engines to research their medical symptoms, understand procedures before selecting a physician. Involving themselves digitally will benefit from increasing consumer involvement in healthcare. Brand building define digital presence consistent brand message that resonates strongly strategy to engage your potential patients and increase your audience with a strong brand will put you ahead of majority of your increasing competition in the healthcare industry have more than doctors to win over the heart they have to reach patients, providers, and payers to People are not going to trust your healthcare company if you do not have a trustworthy brand. It is the process of acquiring new patient into the healthcare organization. In terms of health care, it is essential to understand the customer behavior, Proper training will help to make a long way in producing better decisions and generate higher ROI. Overturn a new lead patient falls on the staff best practice will closely around 25% of their leads and thriving practices will be around 50-60% range. Healthcare organizations are focusing on consumer engagement they would like to use online resources and health technologies well-positioned to develop effective consumer engagement strategies and improve efficiency and value in health care services. Proficient quality measures that reflect the consumer experience and their competition by attracting and retaining actively engaged customers.